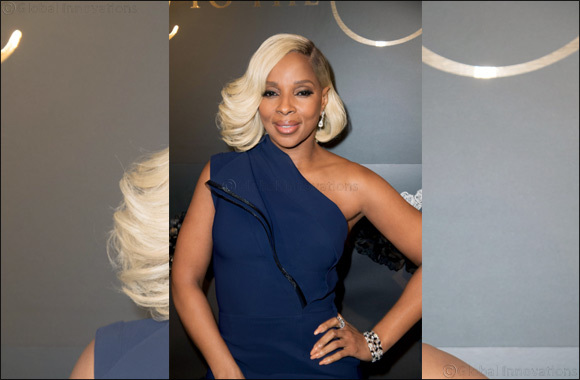 Dubai, UAE, April 2, 2018: Singer, songwriter, and actress Mary J. Blige stole the limelight at the 90th Academy Awards, on March 4th, 2018, wearing the Mouawad Pears of Splendor diamond earrings, coupled with the Oriana diamond and sapphire bracelet and ring. Handcrafted in 18-karat white gold, the magnificent earrings are realized with two pear-shaped diamonds weighing 5.77 and 5.75 carat, hanging from oval counterparts. As for the bracelet, it features 26.62 carat of blue sapphires and 16.30 carat of diamonds, while in the ring, 1.27 carat of sapphires are nestled amongst 1.70 carat of diamonds. Valued at over US $2.2 million combined, Mouawad’s one-of-a-kind jewelry certainly added a dash of brilliance to Blige’s red-carpet attire at Dolby Theatre, Los Angeles. Mouawad High Jewelry also adorned other stars on the red carpet this year, including LaLa Anthony, Bebe Rexha, and Emanuela Postacchini.